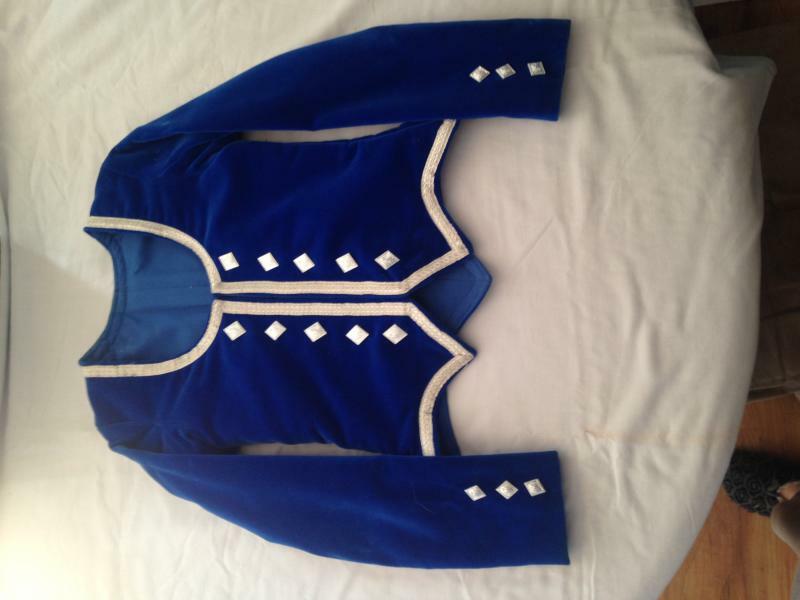 dance.net - Royal Blue Highland Jacket (10249025) - Read article: Ballet, Jazz, Modern, Hip Hop, Tap, Irish, Disco, Twirling, Cheer: Photos, Chat, Games, Jobs, Events! Located in NS, Canada. Buyer pays postage. Wore this jacket around age 7-9, but please go by measurements. I also have a blue vest in the same color available, slightly larger, asking $50.